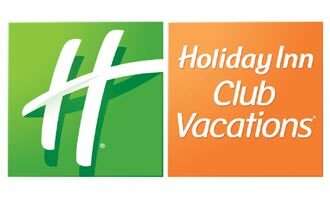 Holiday Inn Club Vacations : At Lake Geneva Resort | Click Here to BOOK NOW! Your Lake Geneva, Wisconsin, getaway begins here! Enjoy a relaxing countryside retreat at the beautiful Holiday Inn Club Vacations® at Lake Geneva Resort, located just a short drive from Chicago and Milwaukee. Call 855 373 5451 for reservations or make your reservation directly online. Special Geneva Convention discounted rate: $200 per night, plus applicable tax/resort fees.Rates subject to change. Room block is TBD. Geneva Convention attendees can enjoy a 15% discounted rate on spa services. There’s so much to discover at the Grand Geneva. Enjoy a round of golf on one of the resort’s famous and challenging, championship courses. Relax and be pampered in the sumptuous spa, swim, play tennis, go for a horseback ride, take a relaxing walk, work out, or just enjoy the tranquil setting. 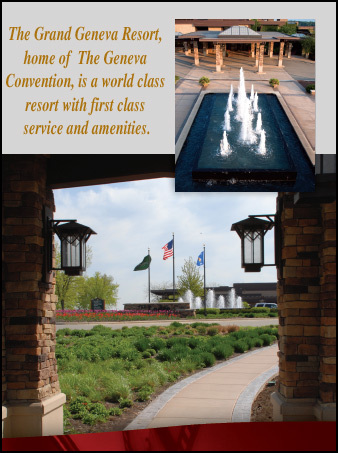 The Grand Geneva Resort is nestled in the beautiful rolling hills of Southeastern Wisconsin about 45 minutes south of Milwaukee or an hour north of Chicago. Convenient ground transportation is available from Milwaukee’s Mitchell Airport and O’Hare Airport in Chicago. Want to golf more in addition to the Charity Golf Outing? LINE UP YOUR FOURSOME TODAY! Tee times available all week for open golf at either the “Brute” or the “Highlands” both nationally acclaimed golf courses. Call the pro shop at 262-248-2556 to make reservations. Special Geneva Convention discounted rate: $119 per night plus applicable tax/resort feesRates subject to change. Room block is TBD. Suites are available both at Grand Geneva Resort and the Timber Ridge Lodge and Waterpark.Timber Ridge provides free shuttle transportation to main lodge. 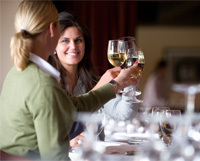 Call 866-636-4502 for reservations or make your reservation directly online. Anchor Suite at $99 per night plus applicable tax/resort fees.Rates subject to change. Room block is limited. Park View at $79 per night plus applicable tax/resort fees. Lake View at $95 per night plus applicable tax/resort fees.Rates are subject to change. Room block is limited. Ask for the Geneva Convention Room rate at either offsite hotel property. Transportation is not provided and distance is approximately 4 miles from either downtown hotel to convention hotel.